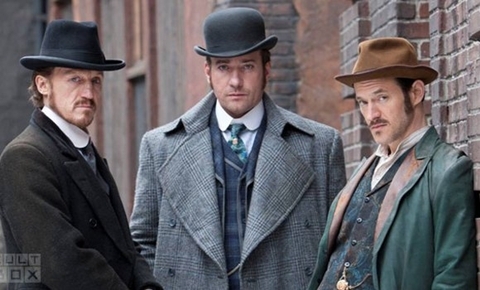 RadioTimes has posted the first official shot of Ripper Street's cast, which you can see below. The show stars Matthew Macfadyen (The Three Musketeers), Jerome Flynn (Game of Thrones), and Adam Rothberg (most recently seen in an ep of Alcatraz) as the men of H Division. The show was created by Richard Warlow, who has worked on British series such as Waking the Dead and Mistresses. Jack the Ripper is a subject that has been done to death in both films and TV, so Ripper Street has some work ahead of it if it's going to stand out amongst what has come before. We'll have to wait until the fall to see what it has to offer.